Clearance - PVCVR-1080P4 - Only $299.95! Polaris USA is proud to present our new HDCVI Tribrid recorder, the PVCVR-1080P4. HDCVI has all the perks of IP, but without any of the hassle. Picture, audio, and power are all fed through just one cable per camera, making set up a breeze. This Tribrid offers 1080P CVI & AHD on all inputs, plus the option of turning your last 2 channels into IP inputs! The PVCVR-1080P4 has a beautiful 1080P display resolution, real time feed, motion detection, RS485 port for PTZ is an acronym for Pan, Tilt & Zoom. 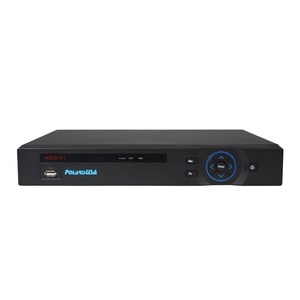 ">PTZ control, Smart PSS viewing software, 1080P recording, and support for up to 8TB of storage! This 4 Channel CVR is the perfect place to start building your new HDCVI system. Accept no substitutes! PolarisUSA only uses Audio/Video (A/V) hard drives for maximum reliability and longevity. 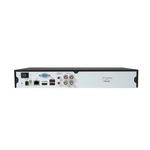 A/V drives are designed and optimized for use in DVR/CVR/NVRs where data is constantly being written, rather than read. Standard PC hard disks just don't cut it!